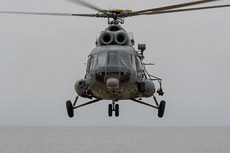 The Lithuanian Air Force was re-established after the fall of the Soviet Union in 1992. 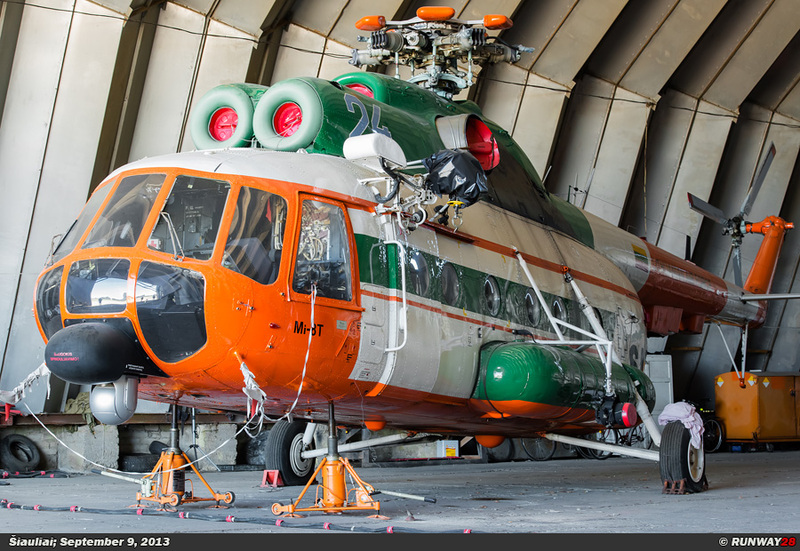 It has always been difficult for this country to maintain a strong air force with their limited financial resources. 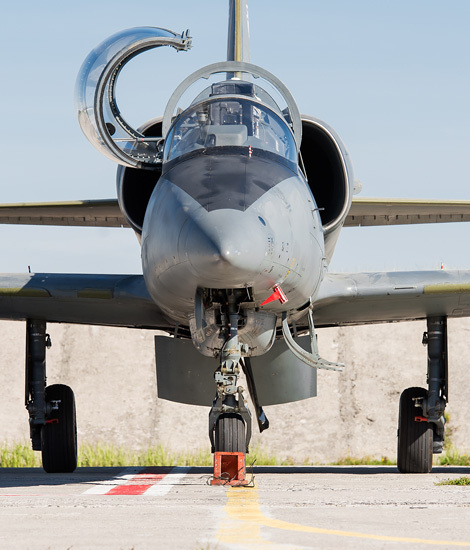 The air defense of this small country is maintained by the NATO since 2004; the mission is known as the Baltic Air Policing. 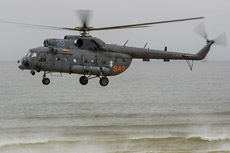 The Air Force of Lithuania (Lietuvos Karinės Pajėgos Oro) is the flying military branch of the Lithuanian Armed Forces (Lietuvos Ginkluotosios Pajėgos). 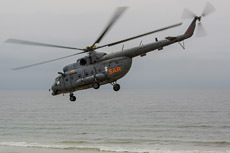 The Lithuanian Air Force consists partly of professional soldiers and partly of non-military personnel. 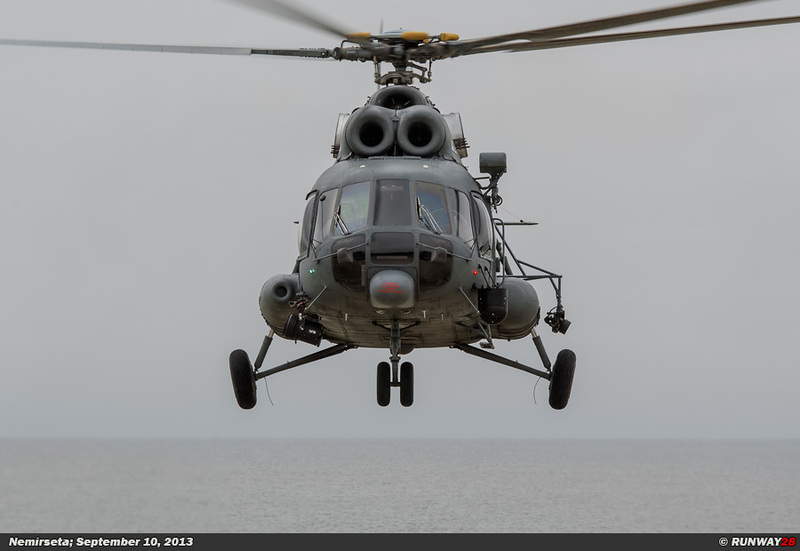 On January 23, 1992, the order was signed by the Ministry of Defense for the establishment of the Lithuanian Air Force. 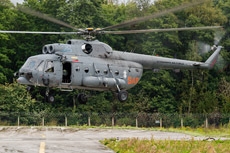 The first airfield which was taken in service was Barysiai. 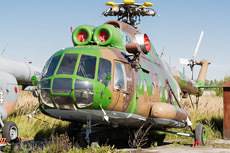 This airfield is centrally located in the north of the country. 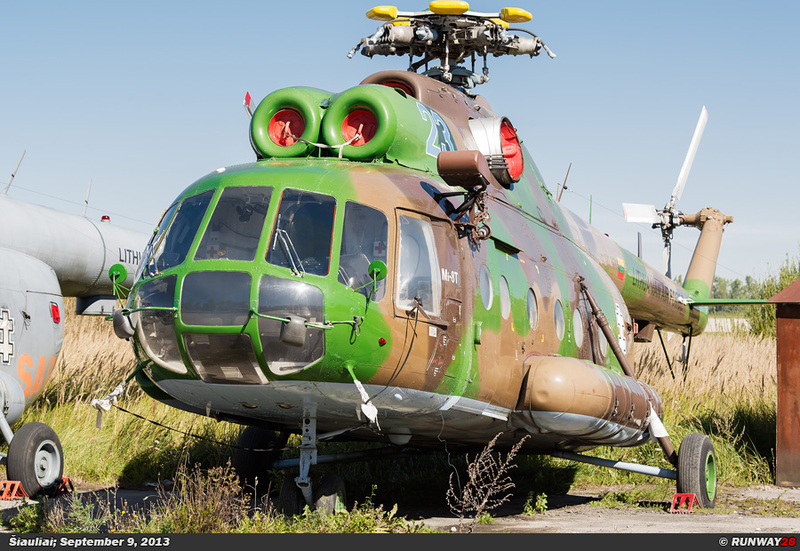 However, Šiauliai-Barysiai became actually in use from March that year, because the infrastructure of this small airfield was not ready. 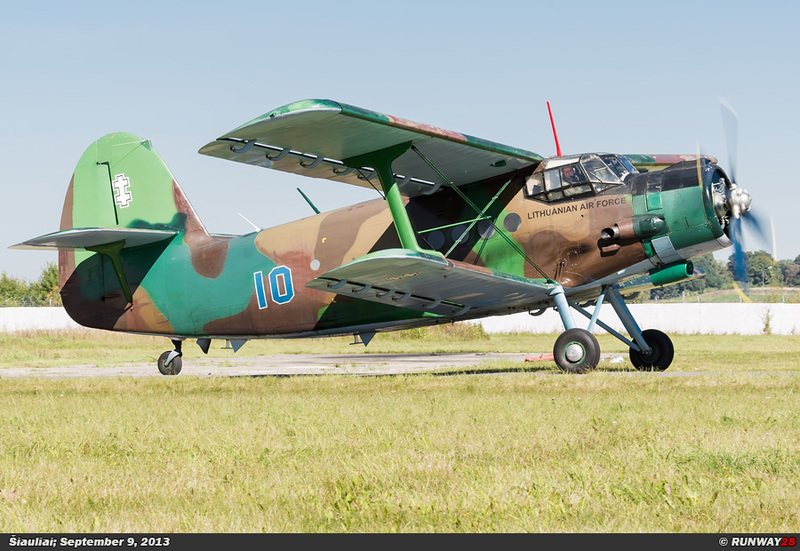 In total, 24 An-2 aircraft of the Lithuanian Airlines were transferred to the newly formed Lithuanian Air Force. 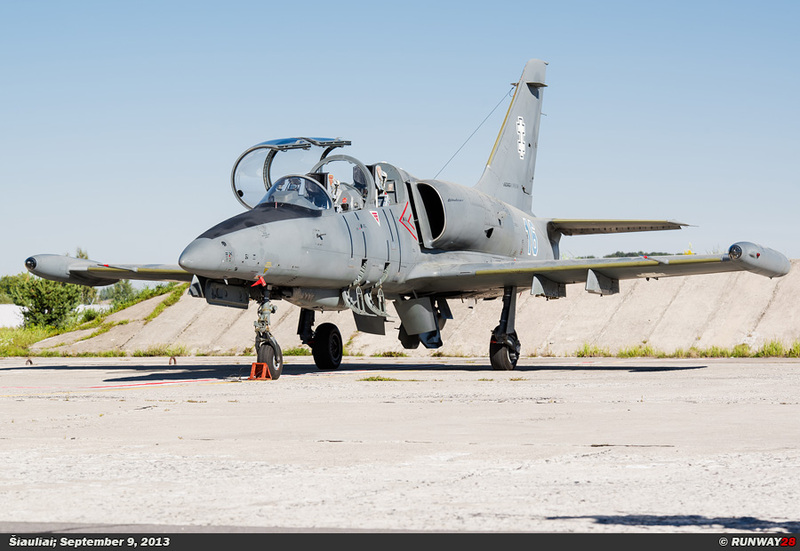 All aircraft of the Lithuanian Air Force were marked with the double cross of Vytis from June 12, 1992. The Order of the Cross of Vytis is the Knight recognition of Lithuania. The Order was already used in Lithuania before the Second World War, but was forgotten after the occupation of Lithuania by the Soviet Union in 1939. After the re-establishment of the Lithuanian independence in 1992, also the Order of the Cross of Vytis was re-established. The Cross of Vytis closely resembles the French Cross of Lorraine. 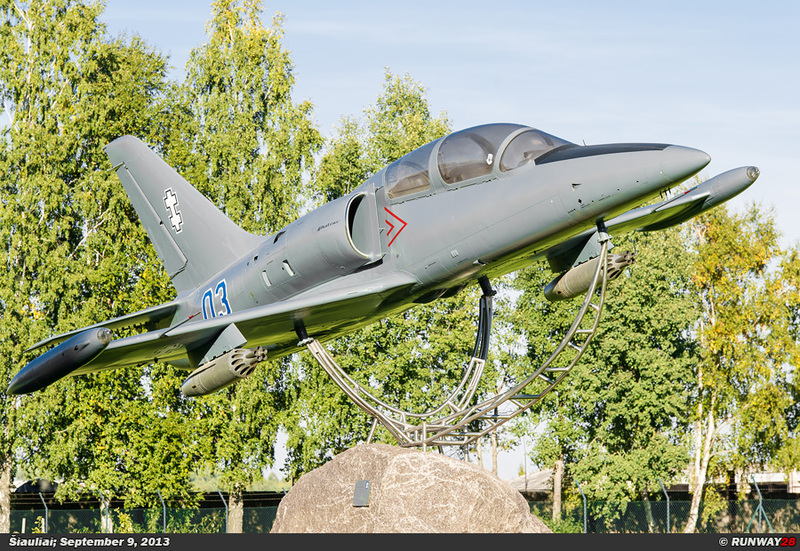 The re-establishment of the Cross of Vytis is therefore seen as the date the Lithuanian Air Force made its resurrection from June 12, 1992. Already in early 1994 the Government of Lithuania asked for a NATO membership. 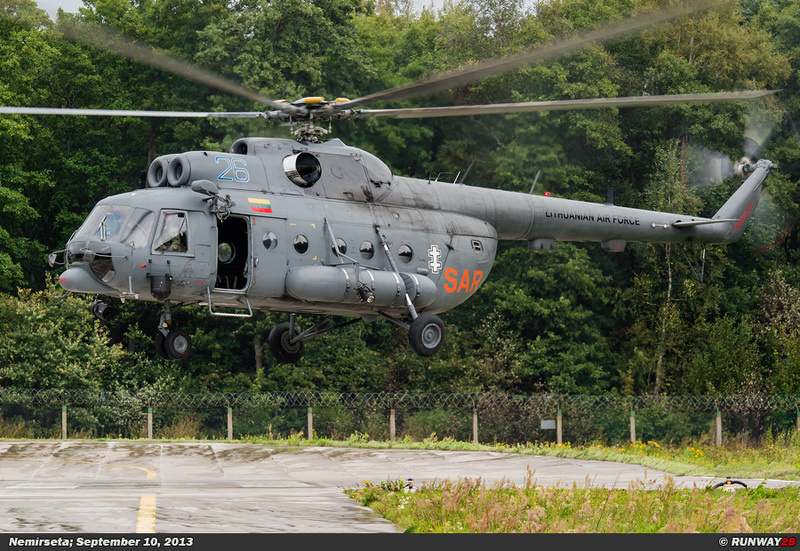 It would take until 2004 before Lithuania would become a NATO member. 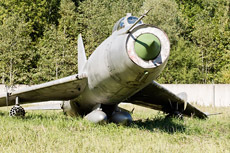 The country was not able to perform its own air defense. 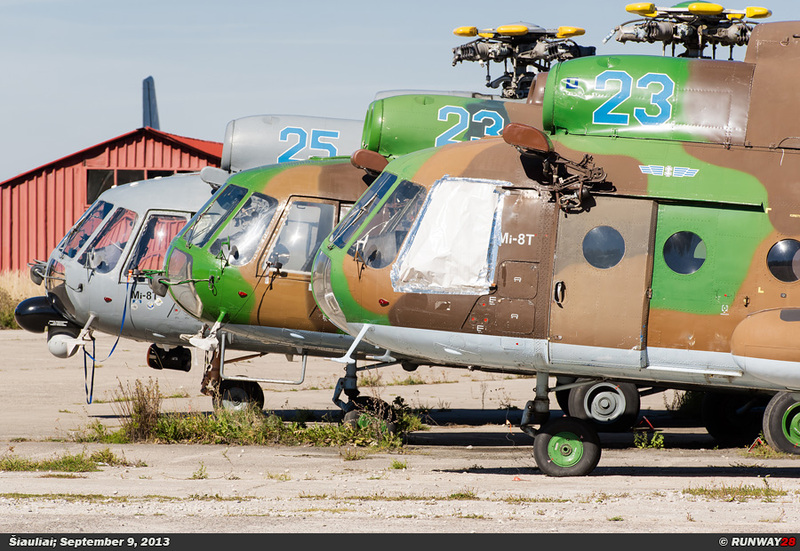 From 2004 NATO detachments were based on rotation stationed at Šiauliai-Zokniai for the defense of the Baltics. 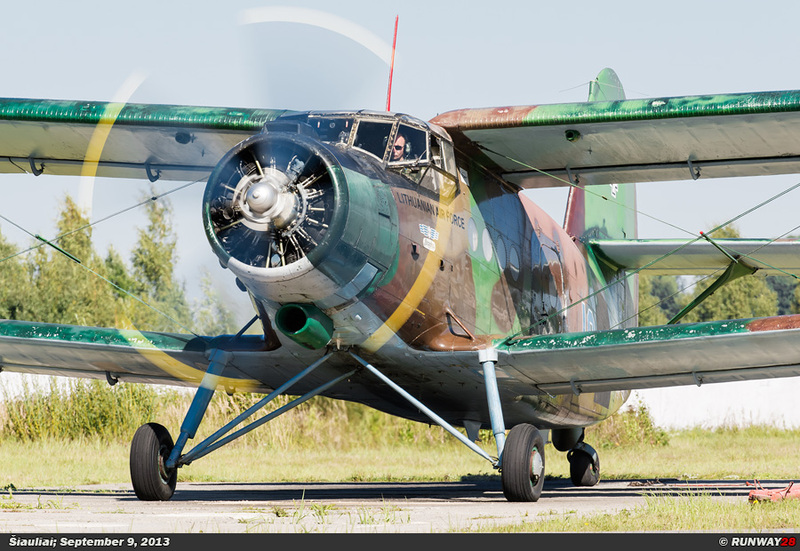 The Antonov An-2 "Colt" was the first aircraft which entered service in the new Lithuanian Air Force. 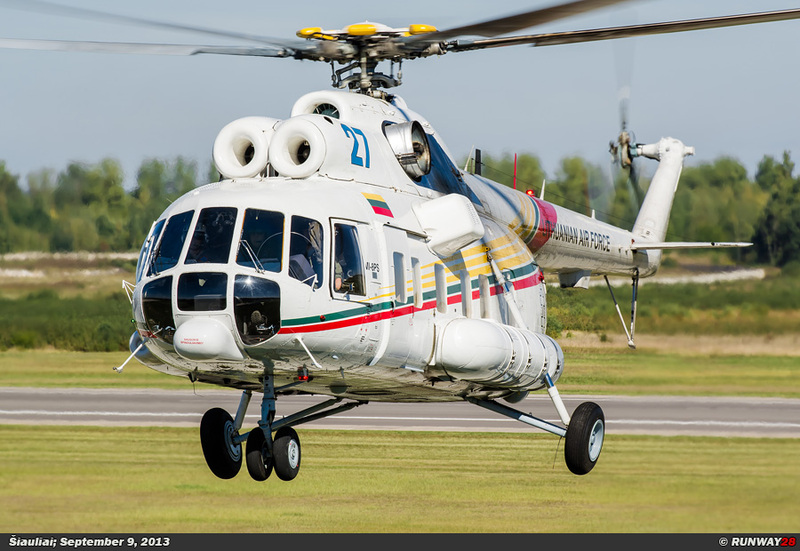 More than 20 aircraft of this type were transferred from civil service to military service in 1992. 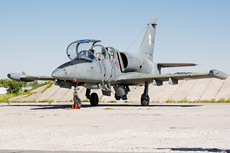 The planes were immediately deployed for various transport tasks and many of them would also be used for droppings of paratroopers. 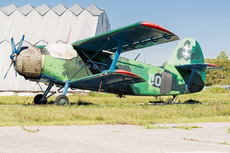 After the departure of the last Russians in June 1993, the huge airfield Šiauliai-Zokniai became the main airfield of the Lithuanian Air Force. 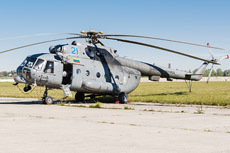 It was necessary to use this base, because Šiauliai-Barysiai was a relatively small airfield and was not able to handle more aircraft at that time. 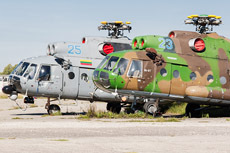 This airfield became in use in December 1994 and the Lithuanian Air Force left Šiauliai-Barysiai immediately. 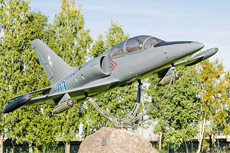 Šiauliai-Zokniai became the first air base of the Lithuanian Air Force. 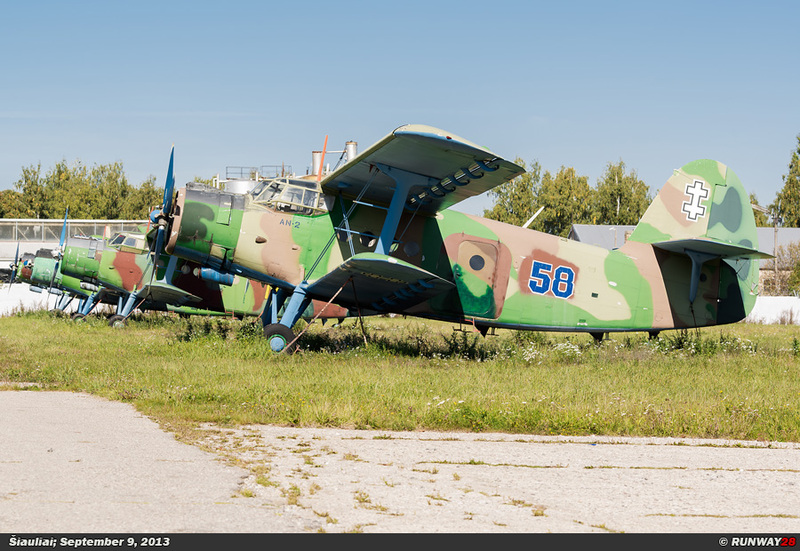 The An-2s were for a while operational at Šiauliai-Zokniai; most aircraft were phased out at the end of the 90s. 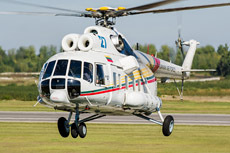 Only four aircraft remained operational and were evenly distributed between Kaunas-Aleksotas Airport and Panevezys-Pajuostis. During the last reorganization of the air force, the An-2s were again transferred to Šiauliai-Zokniai. 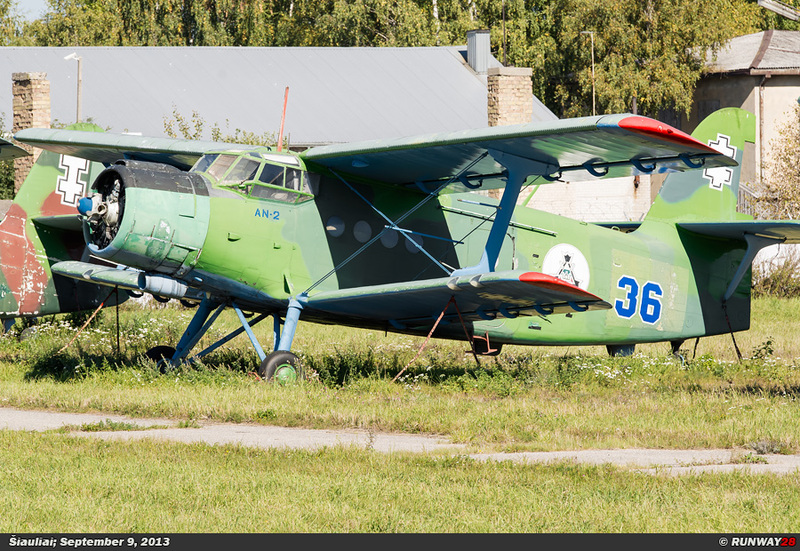 Nowadays, there is only one An-2 in operational service at this airfield. 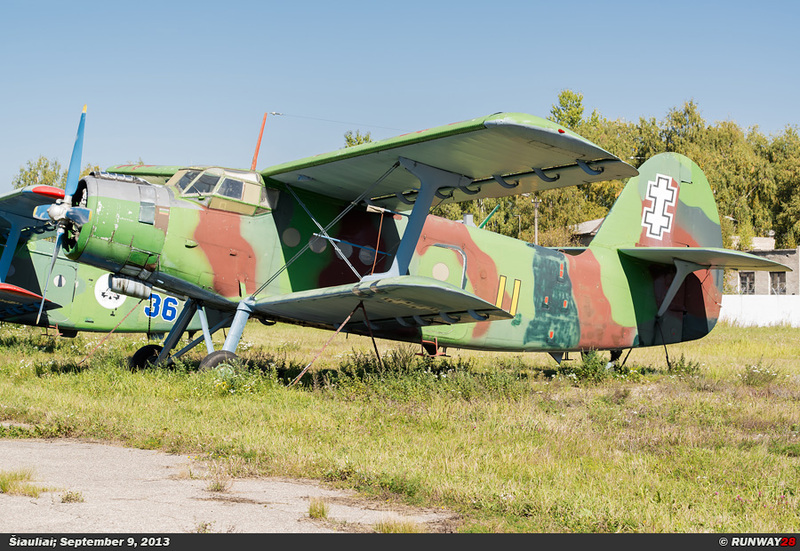 There are a total of 5 other An-2s in storage at the airfield. 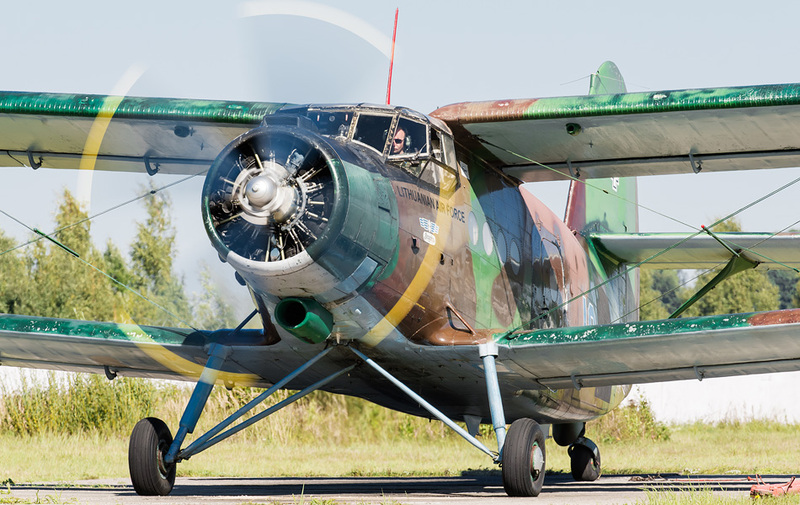 The only operational An-2 has about 200 flight hours on the clock before the aircraft will be withdrawn from operational service. 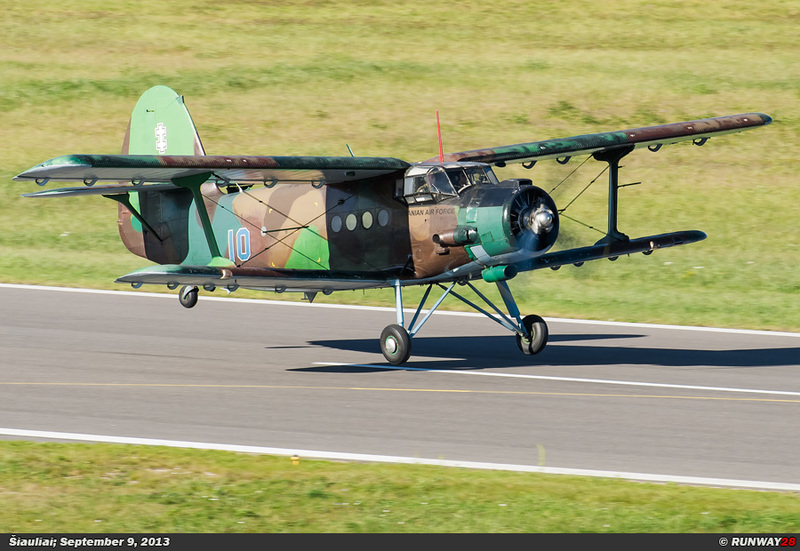 The An-2 will be phased out in the Lithuanian Air Force soon. 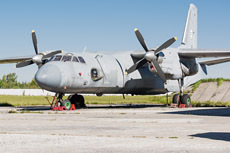 The first transport aircraft with a larger capacity than the An-2 arrived in June 1993 when the Lithuanian Air Force was equipped with 2 Let-410UVP-T Turbo-Let aircraft. 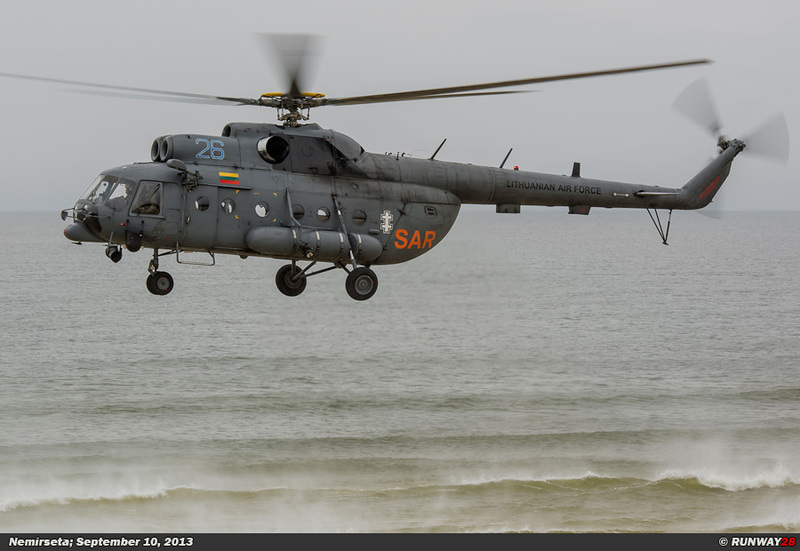 Both aircraft were donated to the Lithuanian Air Force by the German government. These aircraft became obsolete in that country after the reunification of Germany. 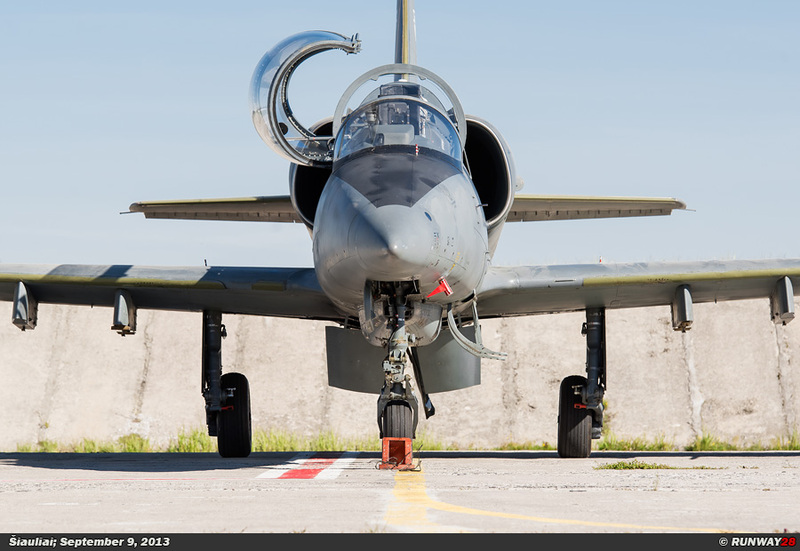 The German Air Force gave this aircraft to Lithuania to help to build up the new air force. 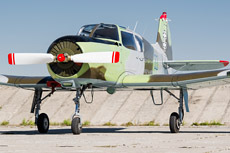 The two Let-410 aircraft are nowadays still in use; one of the 2 aircraft is in storage at this moment. 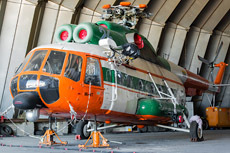 The aircraft which is stored is still complete and looks very good; the aircraft can fly if needed after a short maintenance. 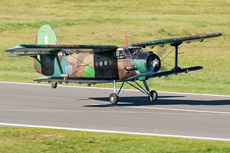 The Let-410 is mainly used for transporting light goods; the aircraft is also ideal for the dropping of paratroopers. 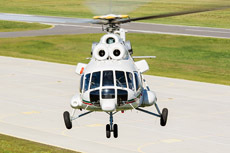 The aircraft are assigned to the transport Eskadrile at Šiauliai-Zokniai. 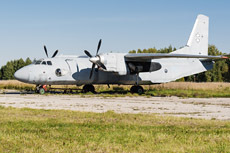 In November 1994, the Lithuanian Air Force had 1 Antonov An-24B "Coke" medium transport aircraft and 3 Antonov An-26 "Curl" medium transport aircraft available. 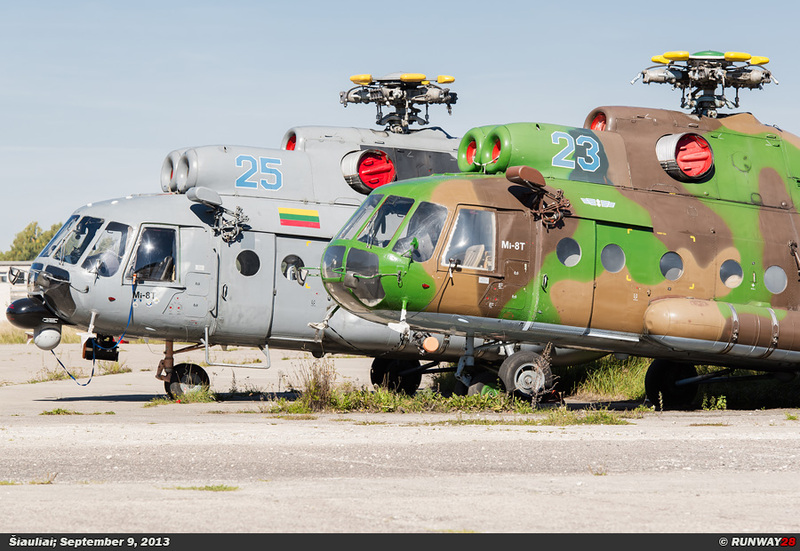 These planes were all four transport aircraft which were acquired from civilian airlines in Lithuania. 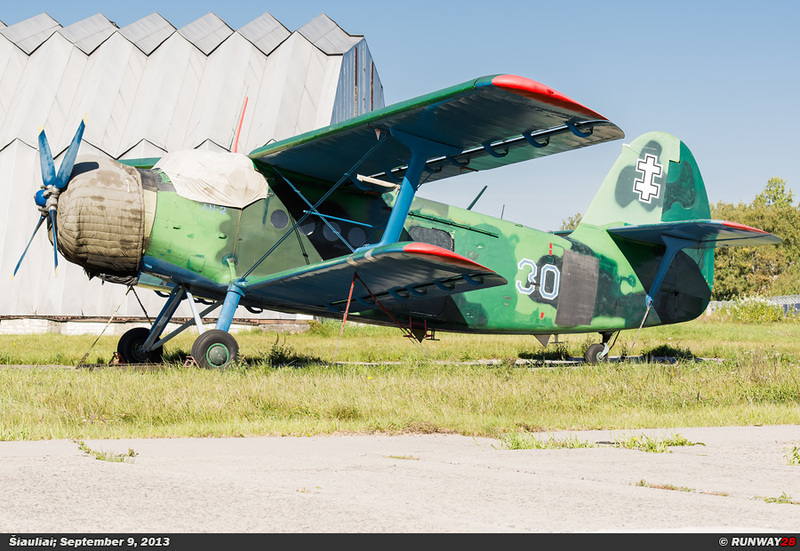 These aircraft became in the short period the backbone of the Lithuanian transport fleet. 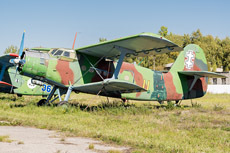 A part of the An-2 fleet was retired from service before the end of the decade with the arrival of these new transport planes. 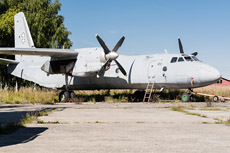 The An-24 would not last long in service of the Air Force; the aircraft was already been phased out in 1996. 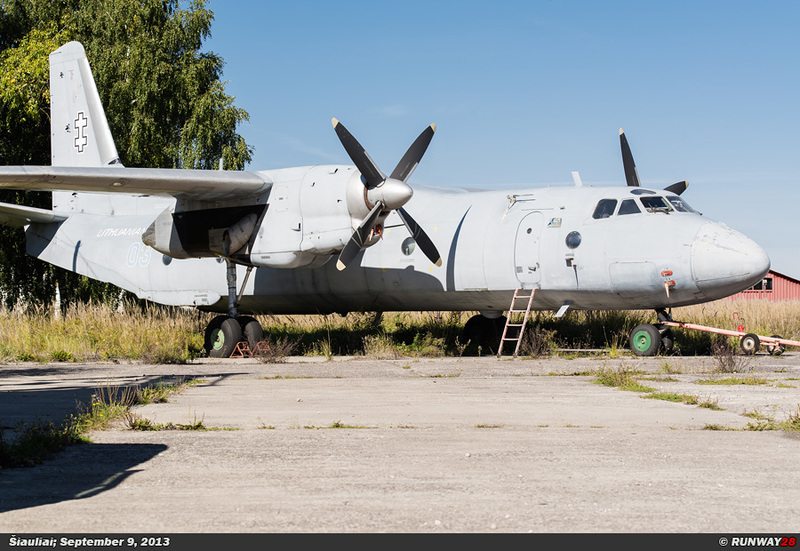 The An-24B is now in the National Aviation Museum in Kaunas-Aleksotas. 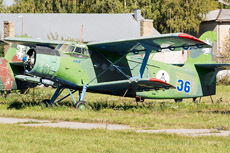 The 3 An-26 aircraft would fly until 2008. The 3 An-26 transport aircraft had to be replaced eventually because they were outdated. 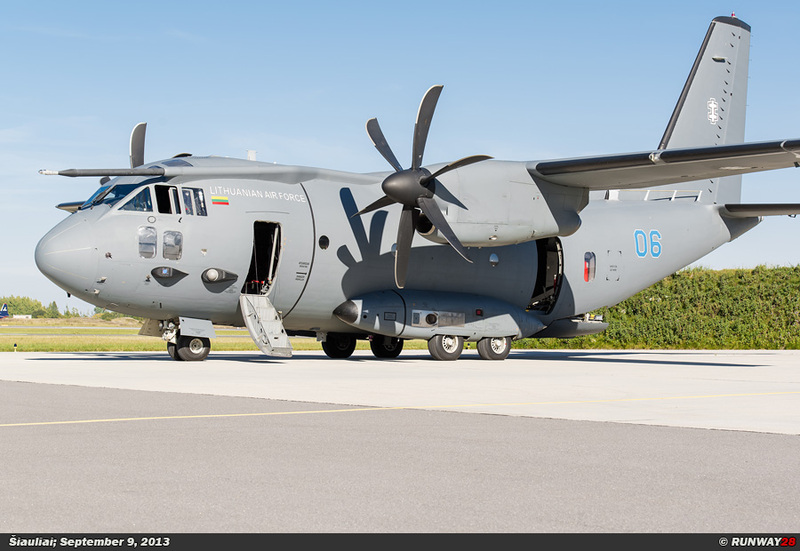 In June 2006, the Lithuanian government decided to purchase 3 Alenia C-27J Spartan tactical transport aircraft. 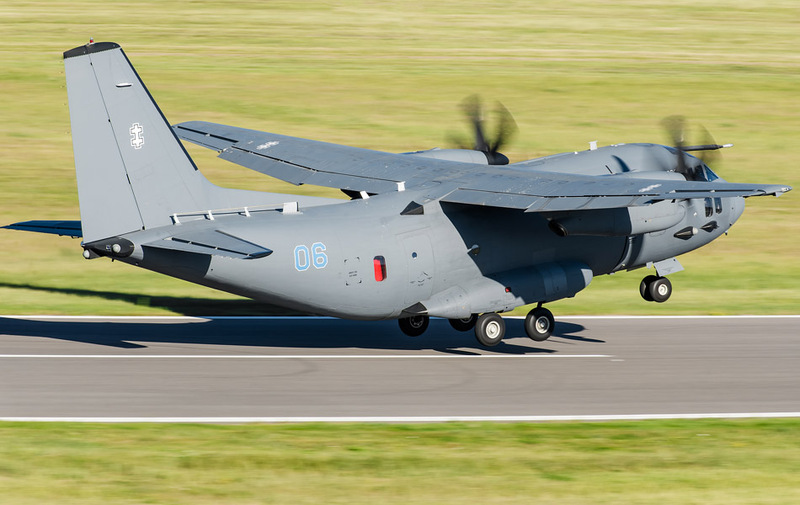 The Spartan is a modern transport aircraft and can land on virtually any terrain. 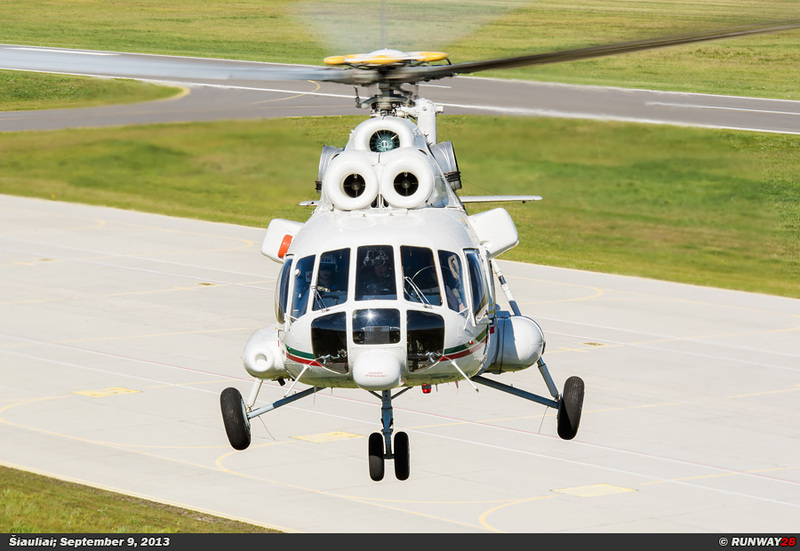 The aircraft has an exceptional climbing ability and can take off and land on very short runways. 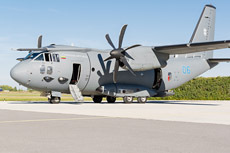 The first Spartan was already delivered in December 2006 at the Lithuanian Air Force. With each delivery of a Spartan to the Air Force, one An-26 was retired from service and placed into storage. 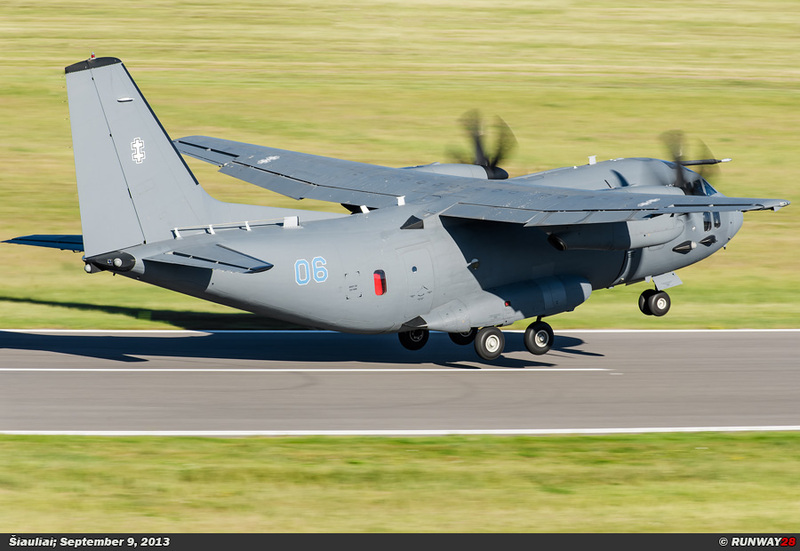 Finally in 2008, the last Spartan was delivered. 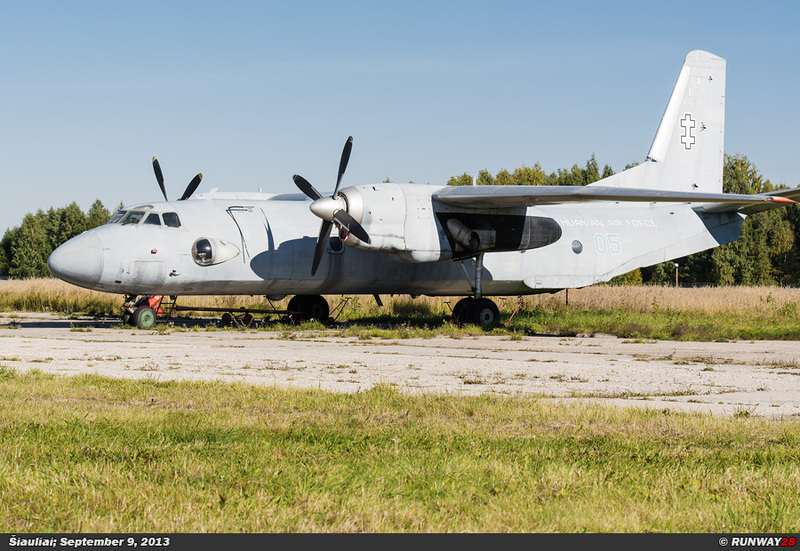 Simultaneously with this delivery the last An-26 was therefore placed in storage. 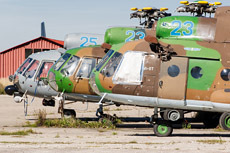 The 3 aircraft are nowadays still parked outside on the platform near the Transport Eskadrile at Šiauliai-Zokniai. 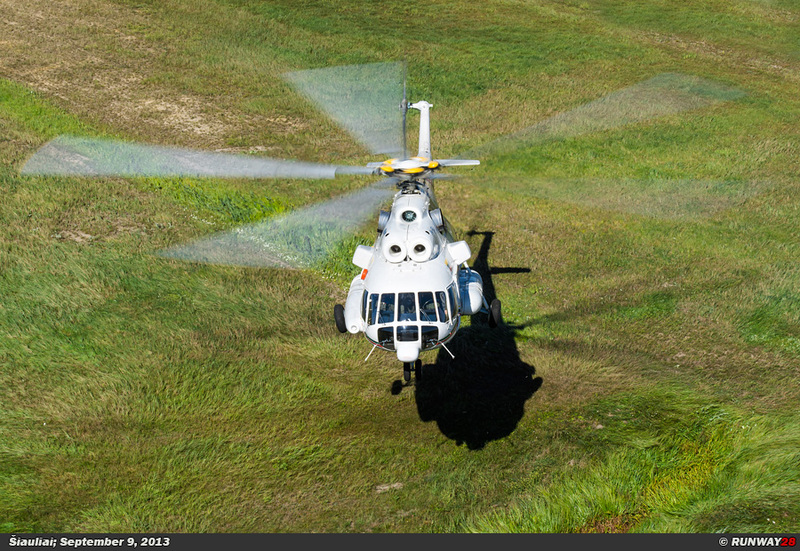 The aircraft are still quite complete and still look relatively good even though they are parked outside. 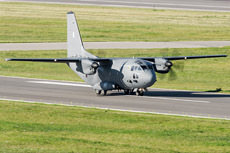 The Spartan brought the Lithuanian Air Force a much larger transport capacity. 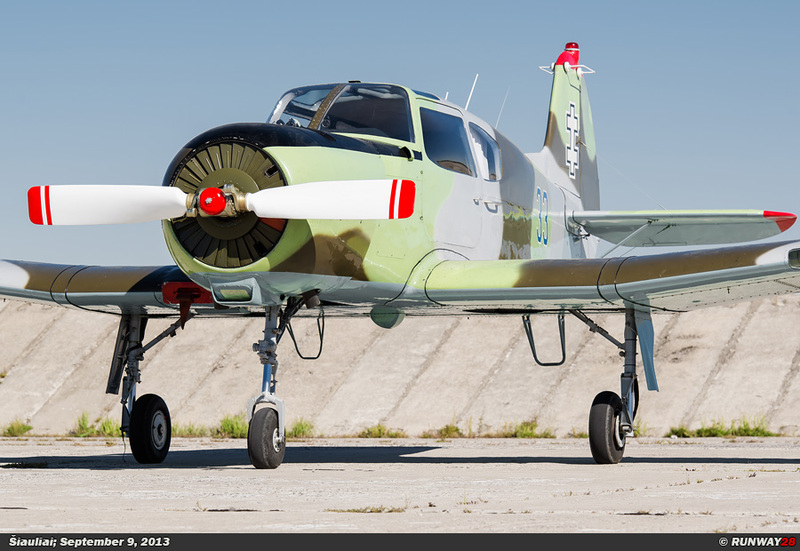 The Spartan has a large cargo door at the rear; therefore the aircraft can be loaded or unloaded rather fast. 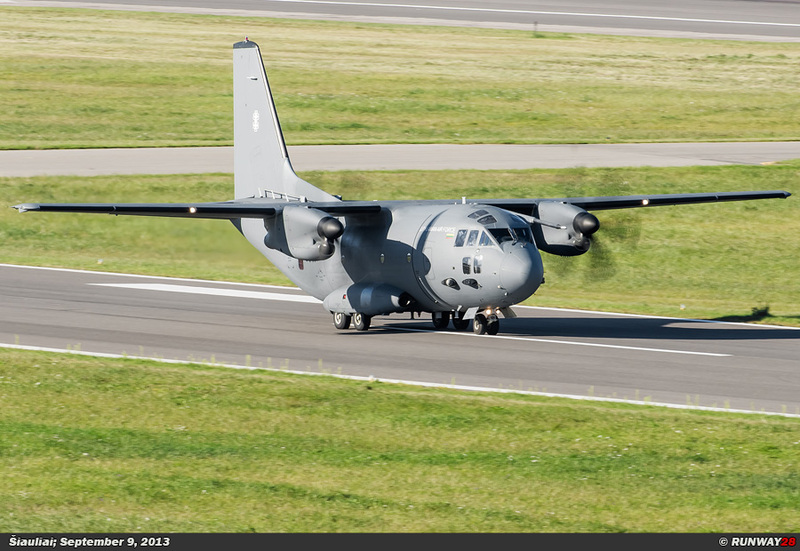 Also, the flying range of the Spartan is much bigger compared to the An-26. 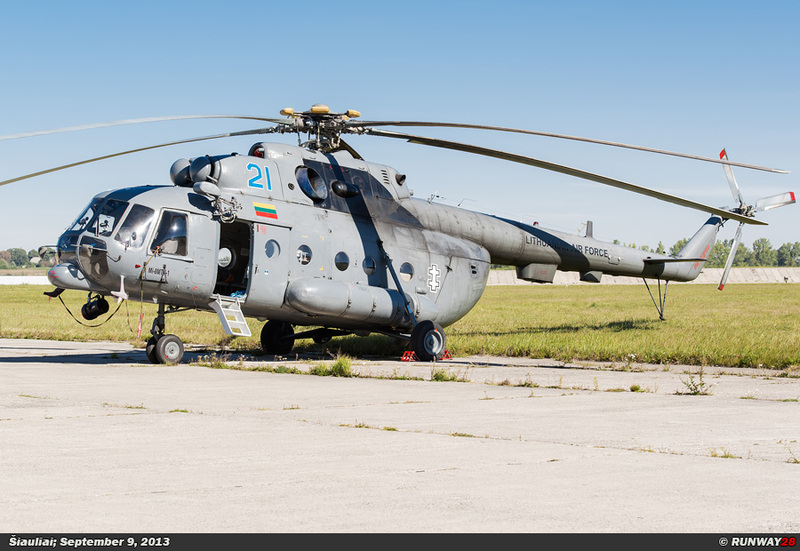 The Lithuanians are not yet completely satisfied at this time, because of the supply of spare parts for the Spartan. 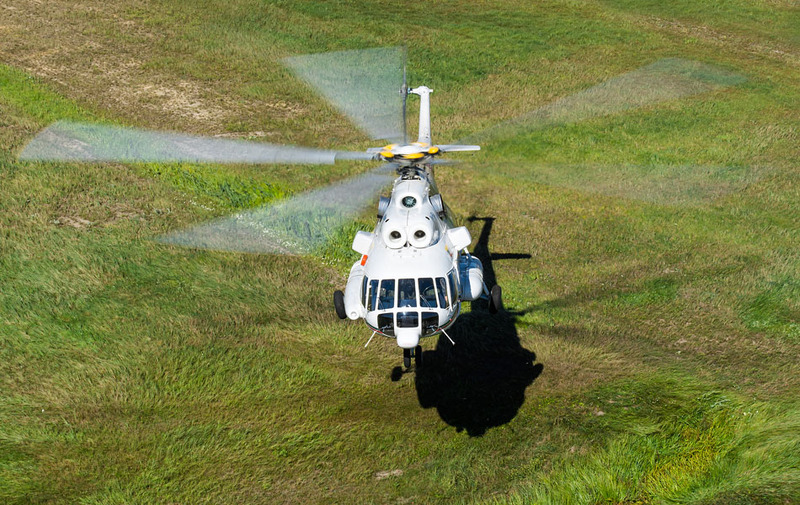 It can take a very long time before spare parts for the Spartan are delivered while the aircraft is needed for transport tasks.